Among the many claims being made by Donald Trump, Republican Presidential Nominee, is that China has ripped us off on trade deals and stolen our jobs. I have no first-hand experience to affirm or refute Mr. Trump’s allegations. But, Chuck Dresner sure does. Read Dresner’s compelling story about how his company in particular, and American manufacturers in general, have enabled China to become the manufacturing colossus it is today. Today’s guest RepMan is by Chuck Dresner. I’m here to tell you that, when it comes to China in particular, The Donald is dead wrong. For many years, my company manufactured functional and decorative hardware for the furniture industry. Many items were exclusive; all were made in the USA. Then in the 80s we were contacted by international trading companies promising lower costs if we imported our products from China. We started slowly with a few products but quickly learned how much money could be saved spending less on items, reducing operating costs and number of employees. Thus ensued years of travels in China, witnessing first hand, the dramatic growth of this industrial giant. The Chinese government realized that their population had significant potential and stepped up construction of roads, power plants and factories. State owned companies were promised large subsidies based on number of employees and production output, and eventually were given privately owned status. Employees were recruited from thousands of miles away. The industrial world fed new factories with products. We sent engineers, equipment, personnel to teach the Chinese how to make products in keeping with specific quality standards. We set the Chinese wheels in motion. Their culture demanded growth and success at any cost. Government subsidies and financial incentives encouraged growth but had significant consequences. Infringement of intellectual property rights and engagement in unethical business practices became a standard. Factory workers put in 14 -16 hours daily for $.30/hour, with no OSHA, no EPA, no unions, no benefits. America and other global industrial leaders quickly realized that we created a monster, but had no choice but to keep feeding it. It was our own undoing that caused US factories to shut down, and the unemployment rate to rise. Our US customers began to manufacture their furniture in China; because my company was already established there, we were able to continue business with them and even sold products to furniture manufacturers in China. This arrangement worked well for a number of years until these factories decided that they didn’t need us, and sought to seek out and utilize their own sources. When our US customers closed domestic factories and moved all production to China, our Chinese customers were determined to buy from their own suppliers, and my company was forced to close. 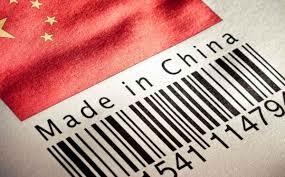 My experience was a perfect example of the evolution of trade with China over a 25-year period. Great post! It’s very important for Millennials to understand why manufacturing moved overseas. I really appreciate your insights!